Curfew is set in the near future. By day the world seems very much like the world we know – but at night the shutters come down, the streets are cleared and a curfew is enforced. The curfew is there to protect the population from an infectious virus that has decimated the country – but some people think the rules and regulations that have come with it are too great a price to pay. The race offers the contestants a chance to escape the world of the curfew; the chance for a better life in a better world. To race is to embrace rebellion and recklessness; but also hope, bravery and self-belief. When night comes twenty-five teams line up in South London for the start of the race. They set off at breakneck speed and it doesn’t let up until they cross the finish line in the Scottish Highlands. There can only be one winner – that’s the one rule – but before we find out who that’s going to be we’re going to see each team pushed to the very limit. Alliances will be made and broken, friendships won and lost: parents separated from their children, lovers ripped apart – all for the chance of freedom. Along the way we’re going to dig deep into the past of the racers to understand just what pushed them to take their lives into their own hands in the first place. Curfew is an insane blast of chrome and diesel fumes, fast and furious, irreverent and mischievous, moving and violent. A real popcorn, blockbuster treat, with characters that will move us, and spectacle that will thrill us. 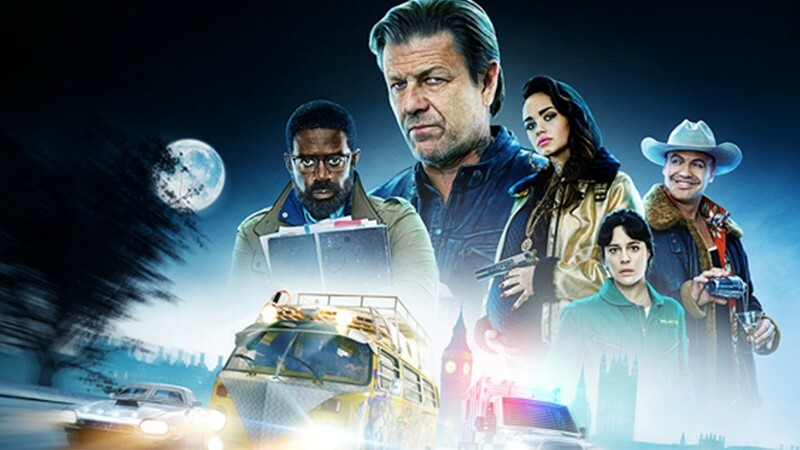 Starring an ensemble cast including Sean Bean (Game of Thrones), Billy Zane (Titanic), Miranda Richardson (Churchill) and Adrian Lester (Riviera), Adam Brody (The O.C. ), Phoebe Fox (The Woman in Black 2) and Malachi Kirby (Black Mirror).